Access to the site is intermittent today as you may have noticed. It's due to problems with the network/firewall infrastructure which is preventing access to the database, apparently, and the fix is to move the database to a new server. I'm hoping that it's going to be done today. If the site hasn't stabilised by Monday I will delay roll-out of the new site. Work continues on resolving the issues, but it's taking far too long and for that I apologise. The DNS change has been made so hopefully that will propagate through the 'net over the next few hours so when it does come up you'll be able to find it. The ISP is still having some sort of problem, I don't know what, which is causing the delay. I can't do anything more than apologise and it's very frustrating! I believe the site, the old one at least, is up and running although I can't connect to it, possibly because of the DNS change. Could you reply here if you can access it, please? Old site currently working for me. Sorry all you should be able to comment here now. Managed to acess the site today and it is good to be back. Fingers crossed all is well now. 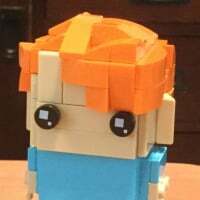 @leego76 just go to www.brickset.com - huw hasn't changed that over to the 'new' site yet. @Paperballpark - I was trying the main page but it just doesn't load up, I can wait. I was hoping to access the amazon page though, don't want to miss any bargains! I haven't been able to access neither new nor old Brickset for 48 hours now. There's no "page not found" either, it just sits there and loads (perpetually) but nothing ever comes up, it just stays on a blank page. This is using IE11 by the way. I'm just hoping all our data doesn't get wiped from our accounts because of these issues. I am in the same boat as @TheOneVeyronian, I have tried often to get in, but without success. I have had a couple of issues with the forum on occasion as well. Yeah the forum isn't loading the stylesheet at all this evening - I'm guessing it pulls that from brickset.com, although it was fine earlier, even though, as others have said, brickset.com itself hasn't been accessible for me for about 2 days now. ^^ Edit that, tried to load it again after posting that comment, a "page cannot be displayed" error came up after about a minute of loading. @CapnRex101 Same here. Hasn't worked at all after Thursday. And the forum is very slow, it can take a few minutes just to load a page! EDIT: aaand now it's not loading the stylesheet again. Oh well, I was getting hopeful for a moment. Now says its down for everyone. ^Using chrome in Atlantic Canada if that means anything. Can just about access the Forum from my mobile. Huw, what do you mean? Are they telling you now that all along it was a DOS attack and not an issue with the database/firewall. If they made you transfer the entire site over this their tech people must be really incompetent. But if it is a DOS attack isn't changing the DNS would have taken care of that? It may be just a regular spam attack that has gone a bit haywire. Or perhaps a DOS attack against the host itself. I hope you can sort this out soon. If you need, I can get you in touch with my tech person who is really good with this kind of stuff. He is the guy who saved Pat Flynn's website after a similar situation. He is from the UK. No problems reaching the forum on any venue as long as I google search "brickset forum". Cannot reach the site, it just loads and loads and loads. Occasionally I will get a peek at the homepage, but can't select anything....good luck. We miss it! 4 days and counting here in Belgium and no access to the main site. Homepage is loading but I can't seem to go to any other pages. The site was hosted by Northstar, run by Eric Smith, now BrickLink admin. He sold the business to OnRamp Indiana a year or so ago. It remained on the same hardware and has been running perfectly well, until Monday last week. Then I started seeing loads of network related errors from the front-end which couldn't connect to the back-end database, and database timeouts. ORI said the Northstar network infrastructure was to blame and that the solution was to move it to their servers/network. That started on Thursday. It should have been a straightforward job but it took 3 days, until yesterday when they finally got it up and running. However it's now using a SQL Express back end instead of SQL2008, on the same server as the front-end, which is not ideal, because they claimed that it was overloading their SQL server. It was still incredibly slow as the CPU was constantly 100%. It *could* be because of a DoS attack overloading things, I'm personally not convinced and I will investigate further today. As it stands now, I've taken the old site offline and run up the new one (at new.brickset.com) and the CPU is averaging 25% with c.250 users so it appears to be holding up. *If* it is a DoS then the pages the attacker is requesting on the old site won't be served which will prevent the database and server being overloaded. I'l leave in that state today to see what happens. Do let me know how it is for you. I am thinking of moving to a managed and monitored hosting solution with guaranteed uptime and SLAs, from a UK based company. (The US/UK time difference has proved frustrating). It will be far more expensive but obviously need to do something given the site is my livelihood now. Anyway, thank you for your patience. I sincerely hope I can get everything back to normal soon. I know it's better than nothing, but just having access to the homepage is almost as bad as having no Brickset at all :-( so I hope everything is returned to normal soon. No data has or will be lost: I have backups on my local PC taken every day last week up to 31/1/14. Nothing entered yesterday or today should be lost either, but I would advise against making a lot of changes just in case. It turns out there *is* a DoS underway, from a German IP. I've taken steps to minimise its effect but more needs to be done because I suspect the requests it's making on the server is hampering legitimate network traffic. DoS attacks don't come from one IP, that sounds more like someone has written a bad scraper. Brickset on Sql Express on the Web server is bonkers. You're right Huw, time to move. Are we ok to post new reviews now or best to wait? The forum still seems to work a lot better on my phone than ipad. Not sure why there should be a difference? The Forum has started to work much better for me over the past 30 minutes - the style sheet is back in place and page transitions are much faster; it almost feels back to normal. New Brickset is also showing encouraging signs of life - some of the functionality has returned, although certain pages are still timing out and the UK Amazon Discount listing looks a couple of days out of date. Definitely headed in the right direction, though - what a relief ! I can see the new site now, but I won't let me log in at all (meaning it won't load the log in window, I can't even try to log in). So when exactly do you make the decision to switch and get hosted on a better service that can a) withstand the most basic internet attacks and b) recover from said attacks in hours, not days or weeks? Navigating the main menu seems to work pretty well for me. I'm able to browse sets, year & theme, read reviews, read news, etc. Can't login anymore though, site not responding right now. Huw & team, you are amazing. Take a break and indulge in a good single malt whiskey, sometimes it helps! The new site seems to be working here but a bit slow at times. Sounds like PaaS might be the way to go, I guess Azure is the baseline reference service but EC2 might be an option with servers in Ireland. If you can isolate the DoS to a single IP, the normal resolution is to just block it. And/or run a reverse DNS lookup and contact the ISP. Have you thought about using Amazon Web Services or something similar Huw? The site would be load balanced across the globe and a much more reliable and a better user experience. No idea what you are paying now, might be comparable in price. I have just enabled a CDN/security gateway that apparently neutralises threats before they get very far: it required another DNS change which is still propagating. Certainly when I test it at http://network-tools.com/default.asp?prog=express&host=brickset.com it's made a heck of a difference in terms of hops and timings and should cache much of the static content and thus reduce bandwidth/load on the server. @Goony, do you mean in general or RiKTheVeggie's post in particular? The site was hosted by Northstar (a US based IT company that was run by a Lego fan. 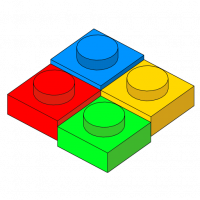 It provided the physical computer hardware that the Brickset.com website runs on). Northstar was sold to OnRamp Indiana (ORI is a slightly bigger IT company, which is also an Internet Service Provider). It remained on the same hardware and has been running perfectly well, until Monday last week. I am thinking of moving to a managed and monitored hosting solution with guaranteed uptime and SLAs, from a UK based company. (The US/UK time difference has proved frustrating). It will be far more expensive but obviously need to do something given the site is my livelihood now. (Given this is a 'business critical' site to Huw now, I'd agree it needs to be hosted by a serious player with the ability to deliver any uptime they promise and if something goes wrong have the spare capacity and expertise to fix the problem sharpish. Anyone with 'real' 24x7 support would be an improvement by the sound of it. Personally I'd look for someone that has a reputation for exceptional customer support be they in the US or the UK.